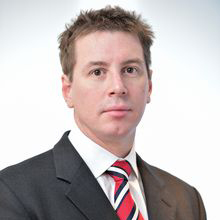 Ben is a Principal at Arthur D. Little in the London office and works across the Technology and Innovation Management Practice and the Energy Practice. He heads up the Energy Practice’s Competence Centre in Technology, Innovation and Digitalization. Ben led Arthur D. Little’s most recent Innovation Excellence Benchmarking Study and our R&D management best practice study; he has also co-authored a number of ADL reports and viewpoints on a range of different innovation-related topics. He is passionate about the use of evidence and statistics in supporting decision making. Before joining Arthur D. Little, he worked at Technopolis Group on evaluation of R&D programs and institutions and Innovation Policy for the EU and OECD. He holds triple British, French and Belgian Nationality. Ben trained as a Military Intelligence Officer in the French Army and holds a half blue for Judo from Sussex University.